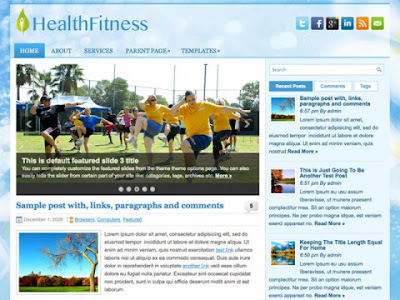 The HealthFitness theme is one of our upcoming and popular themes for WordPress. HealthFitness is perfect for those looking for a health or fitness website that is compatible with the newest version of WordPress. If you like these post, drop your feedback in the comment box. Thanks!